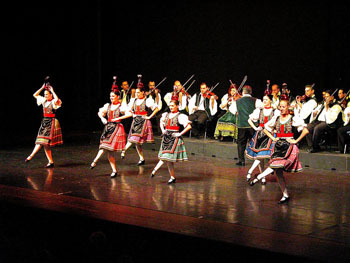 An amazing show of Hungarian Folk Dances and Music in the elegant Theatre Hall of the Danube Palace in the city centre. VIP ticket: 85 EUR (see description below) Choose ticket type in the Prices * field! Payment: with PayPal: from your PayPal balance, or using a Bank Card, Credit Card. (No need to have a PayPal account.) E-ticket sent automatically in e-mail. Please choose date in the Calendar below! 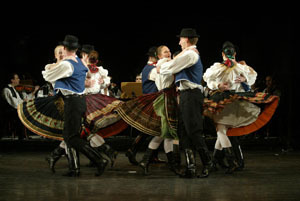 Hungarians are passionate people and their folk dance and music clearly represent their emotions. Program starts at 20:00, and consists of two 40 – 45-minute sessions, with a break in between. 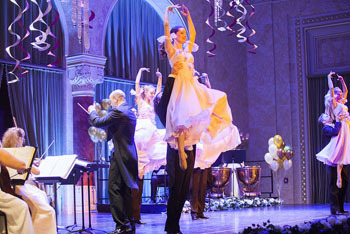 The performances are held in the historic Danube Palace (Pest city centre, Zrínyi utca 5.). Note: On dates marked with * the folk performance takes place in the Széchenyi Hall of the Danube Palace! 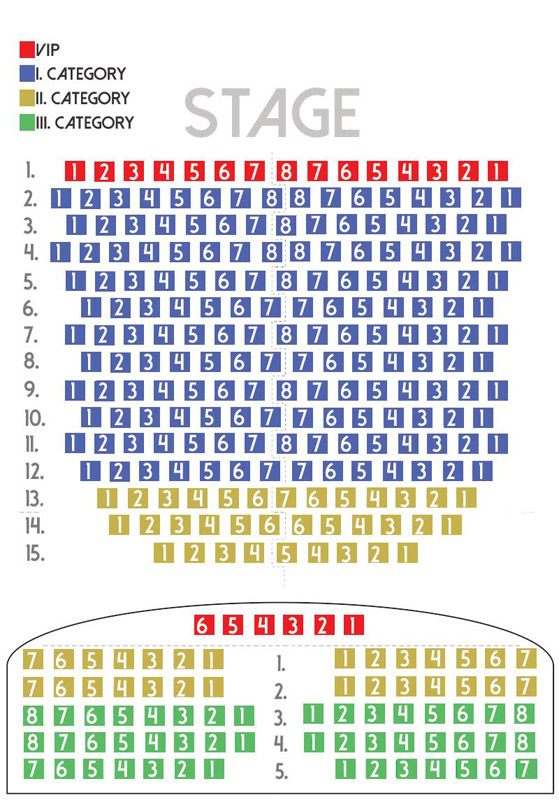 Tickets are available in 3 seat categories (see seat map) + a VIP category. Assigned seating. You will be assigned the best seats – in the category you’ve chosen – available at the time of purchase. You can book a taxi transfer to the concert venue and back to your hotel after the performance for plus 14 EUR. Note: If you book the concert with taxi Pick-Up Drop Off please be at your hotel’s reception 1 hour before the performance starts. You can also book the folk performance with a Danube night cruise with dinner (starts at 22.00). Hostesses will accompany you to the ship after the folk program (cc. 4-5 min./200 m by walk). 2 Programs-Save Money! You can also buy a no-queue, fast entry ticket to the Gellért and Széchenyi Baths, two of the most presitigious spa complexes of Budapest. The two baths are open every day, all year, the Gellért till 20.00, the Széchenyi till 22.00. With your pre-paid ticket that comes with cabin use you can skip-the-line and enter the baths between 09.00 – 18.00 and stay till closing time. You can buy the tickets to the two programs for separate dates. TIP: See also the Hungarian Dinner with a half-hour Folk Dance Performance in a first-class, city centre restaurant. Every Friday at 19.00. 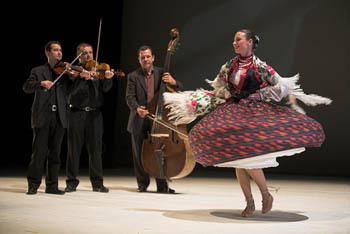 See more information on the Hungarian Folklore Show and the dance groups.